Learn how to re-purpose ready made soap with beautiful herbs and how to make beautiful paper. We will also have some lovely autumnal sowings and allium seed sets for you to take home in the form of garlic, onions, and black Tuscan kale. Contact emma3@space2.org.uk to book a place by this Thursday. If you are in our funding area Thackray will give you a free annual pass for the museum…well worth a visit! Create beautiful prints on cards or a canvas bag. Some fruits and vegetables which we use regularly have such brilliant shapes – it would be a shame to just eat them! Create a wild and crazy design or stay sophisticated and simple – it’s up to you! If you only have a few minutes – why not contribute to our community activity by using a range of interesting composting materials to create a big, imaginative, weird and wonderful face on the floor! Back to Front are at SHINE tomorrow from 10.30am – 12pm. We have potatoes and various seeds to help get you started with growing at home. Pop along and see us! If you sign up to the project we can support your growing via our facebook page and visit your growing space if you become one of our active growers. 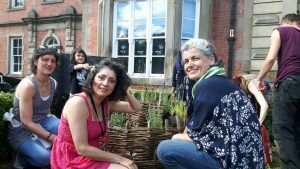 Spaces still available on the Back to Front workshop this Sunday 20 March, 1pm – 3pm at Thackray Medical Museum. Grow an interesting variety of chillis, tomatoes and salads to enhance your food and environment this summer. 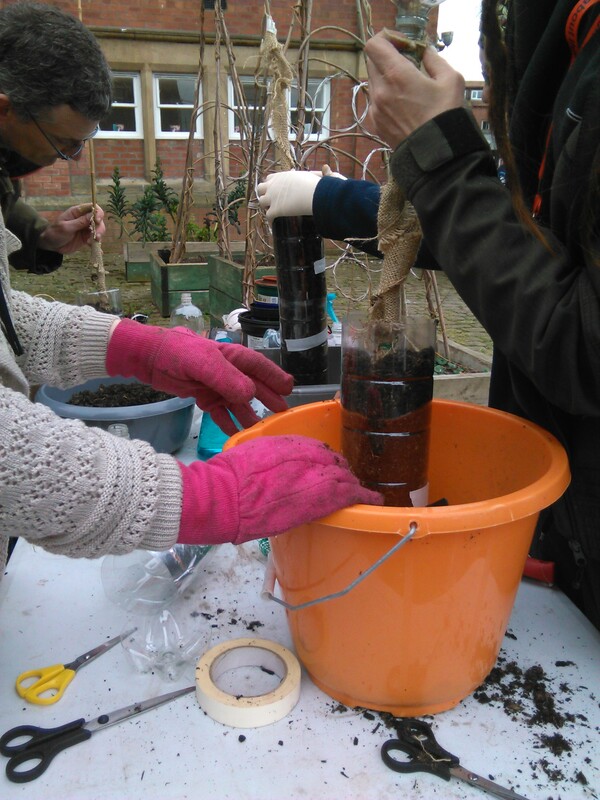 Re-use your plastic bottles to create bottle propagators, self-watering seed protectors and to grow in confined places by making salad towers. 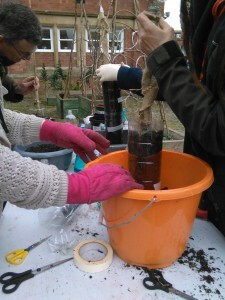 We will provide seeds, compost, pots, materials and inspiration to use your waste and space in innovative ways.